Note: The normal environment where these detectors are installed should be within the specified normal operating temperature limits. 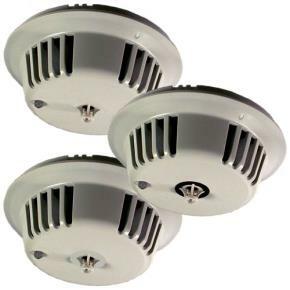 Rate‑of‑rise/fixed temperature heat detector head only; requires base. Fixed temperature heat detector head only; requires base.